These two articles were writtin by Frank Lenti, Mt. Carmel High School. One of the hardest parts of coaching is motivating young athletes to practice. To do this effectively, the coach has to foster an understanding of the relationship between training, practice and peak performance. He (or she) must encourage the athletes, provide structured training, and help them gain the self-discipline necessary for success and excellence on the field. 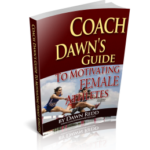 Effective motivation flows from the partnership between coaches and athletes. As coaches, we must understand our athletes as individuals and as a team ­ gain their trust and respect. We must remember that we’re coaching people, not machines. We must teach youngsters the mechanics of a sport, but we must also assist in building their character. Showing support and interest in all facets of their lives helps build an effective coach-athlete relationship. A good way to demonstrate such personal interest is by working out with the athletes. It will show them that you’ve been where they are, that you know it’s hard work, and that you’re willing to sweat, too. At Mount Carmel High School, we think in terms of attitude, motivation, performance, and success. Success is a journey, not a destination. Success is realized the moment an athlete gains a winning attitude, is motivated to set a worthwhile goal, and begins to move toward that goal. A winning attitude is the best motivator. If athletes believe they can achieve their goals, they’ll try harder and increase their likelihood of success. A positive coach-athlete relationship lays the groundwork for this attitude, and the setting of clear-cut goals helps establish it. Coaches should help the athletes set long-term goals and encourage them to achieve these goals through a series of short-term goals. The incremental goals will keep motivation high, while giving the athletes an ongoing sense of achievement. Once the athlete begins developing a sense of accomplishment, he will be motivated to try even harder. At Mount Carmel, we have our athletes write down a goal and the obstacles they anticipate in reaching it. 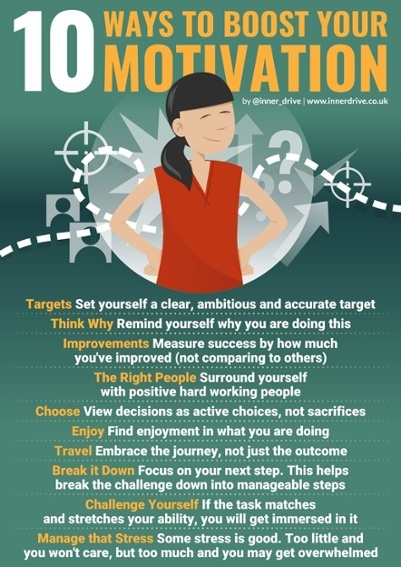 We then identify the steps to take and the short-term achievements leading to the goal. For example, if a football player wants to play wide receiver but isn’t fast enough, we set short-term goals to increase his speed. Each tenth of a second improvement in speed will motivate him to try even harder. If he increases his speed enough, we will give him a chance at wide receiver. If he doesn’t, we will examine why and set up a new workout schedule. Incentives (material rewards for good performance) are commonly used for motivation, but may only be effective on a short-term basis. Athletes may become satisfied once they achieve rewards, such as helmet stickers or plaques, and the rewards will lose their power to motivate. We often have to increase the value or quantity of incentives to motivate players on an ongoing basis. We do not believe that fear motivates. Fear motivation, or punishing players to “motivate” them, is only a temporary expedient. After repeated exposure to fear tactics, athletes become immune to threats, and continued punishment may destroy their desire to participate. It’s difficult to justify using fear to motivate young players. It’s important to remember that athletes can motivate one another. We usually split the players into drill groups and score them as a team rather than as individuals. These training sessions help build team morale and make the players feel they have invested in one another. Each player has a responsibility to the team. We share the short-term goals of improving attitudes and basic skills with the long-term benefit of overall improved performance. Motivation is simply a means to an end. If we provide exposure to positive ideas over a long period of time, we will produce a successfully motivated athlete. To summarize, this is our Mount Carmel Credo: Attitude controls motivation; motivation controls performance; performance controls success. And there’s no I in T-E-A-M.
John Wooden, the legendary UCLA basketball coach, often said that “there are three things vital to success in athletics: conditioning, fundamentals, and working together as a team.” Of these three elements, “working together as a team” often proves to be the most elusive goal. 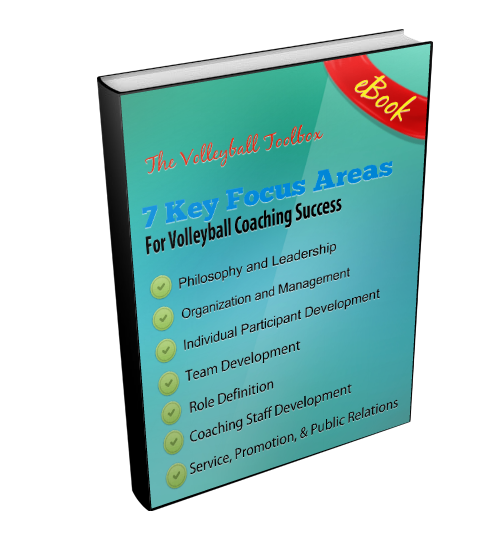 Clear, positive communications from coach to coach, coach to athlete and athlete to athlete are essential in establishing the concept of “teamwork” and in fostering all the other basic elements of teamwork. Effective communication enables all the team members and the staff to clearly understand the team goals and work toward the achievement of the stated objectives. As a coaching staff, we focus on two communication principles: 1) clearly and repeatedly communicating both our expectations of players as individual athletes, students, and team members, and the reasons for our expectations, and 2) remembering that effective communications is a two-way street: that is, the coaching staff must listen to the athletes, too. All coaches know that the players with good attitudes are usually the ones who will contribute the most to the team. However, it’s not enough to inspire good attitudes in individual players: a “team attitude” is necessary in building the kind of teamwork upon which winning is predicated. At Mount Carmel, we define a good team attitude by how well the athletes accept their roles and their responsibilities to the team. The star role is relatively easy to accept, but it is equally important for the team specialists and back-ups to understand and accept their roles and responsibilities. Coaches should encourage this kind of attitude by setting an example: accepting all the responsibilities of their coaching position, not just the ones that they like. Once players understand and accept their roles on the team, it is possible to take the concept of “team attitude” one step farther to “team ego.” This simply means that players must overcome their own egos for the good of the entire team. The subordination of individual attitudes and egos cannot happen in a vacuum. The players must be given a reason to be motivated to achieve a favorable outcome for the team. Coaches can set up a continuing system of motivation by setting long-term goals and by encouraging players to achieve them by meeting a series of short-term goals. At Mount Carmel, we also include personal and academic goals. By measuring progress in small steps, we can give each athlete an ongoing sense of achievement and keep his or her motivation high. Athletes can also motivate one another. We usually split players into drill groups and score them as a team rather than as individuals, making the players feel they have a vested interest in each other. The establishment and maintenance of positive communications, team attitudes and egos, and motivation depends heavily on the final element of teamwork ­ discipline. Discipline is the glue that holds everything else together. Coaches should remember that discipline, if used fairly and consistently, is a positive force in building teamwork. Rules are a part of discipline, although we have found that too many rules have a negative impact on teamwork. It is also important to make sure that the rules you do have are consistent with team goals, are realistic and are enforceable. A key focus in our discipline program at Mount Carmel is developing self-discipline, which we define as “what one does when no one is watching.” We help athletes develop self-discipline through: 1) setting goals as described above, 2) clearly communicating the coach’s expectations for the players and maintaining those standards, and 3) demanding the best effort from each athlete, whether in practice, in the classroom, or in a game. Coaching is difficult. The job demands that you have knowledge, skill, patience and a drive to succeed. Most of you have these attributes or you would not be in this career. The stress and demands of the job can, however, drain your energy and enthusiasm. When that happens, how can you boost your motivation? As a coach, you strive to find the words that will help your athletes reach their full potential—not only as athletes, but as young adults. In an article in Psychology Today, Meg Selig—author of Changepower! 37 Secrets to Habit Change Success—provides a few brief motivational messages that coaches have used in motivating their athletes to get the most out of their athletic experience. Aim for excellence, not perfection. Selig says this is a great motto for an athlete who gets bogged down by never being able to achieve total perfection. Accepting failures and glitches in one’s program is simply part of the process. Cultivate a learning mindset instead of a fixed mindset. Many young athletes believe that it’s talent that counts, says Selig, and as a result, they don’t put in the hard work needed to overcome deficiencies, hone a skill to excellence, or develop the mental strength and flexibility to bounce back from failure. For these athletes, Selig encourages that the coach rewards effort rather than talent and reframe failure as an opportunity to learn.